Many people consider their pets an essential part of their families and want pet care to match. We consulted with several working vets to get their suggestions for finding a vet that you and your furry (or feathered) friends can feel comfortable with. Think carefully about what kind of care you need. 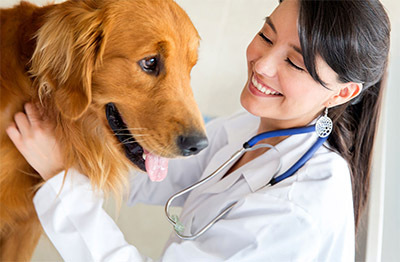 The kind of veterinarian you hire will vary depending on what kind of pet(s) you own, as well as your pets' ages, your budget, and just how committed you are to them. Are you a first-time pet parent looking to spay or neuter a puppy and just get annual shots thereafter? Or do you have an elderly or special-needs animal that you're willing to move heaven and earth to keep happy and healthy for years to come? You also need to consider things like the hours the vet office keeps and how many days a week they're open. Some vets even do house calls exclusively rather than working from a stationary animal hospital. First, decide on what you might need from a new veterinarian. Do you have a kitten that needs vaccines and deworming? Do you have a dog prone to heart disease that needs some advanced heart monitoring equipment? Do you have an extremely active dog that might need emergency care? Do you have a cat that hates the car and needs a veterinarian nearby? All of these situations might call for different types of veterinary practices, so keep that in mind when you're conducting your search. You also need to consider things like the hours the vet office keeps, how many days a week they're open, and whether they make house calls. Some vets even do house calls exclusively rather than working from a stationary animal hospital. Every veterinary hospital is unique and offers varying hours and services. Find one that allows you to get the best care for your pet with the services you want and hours that fit your schedule. One of the most reliable ways to check out a vet ahead of time is to ask trusted friends and family where they take their own pets or livestock. Ask them why they like their veterinarian, and build a small list of animal hospitals you're interested in based on that information. And if you're in need of specialized care that your current vet doesn't provide, ask for recommendations of other professionals. For example, are you interested in acupuncture for your senior pet? Your primary care veterinarian may also be able to refer you to nearby specialty centers for these alternative treatments.